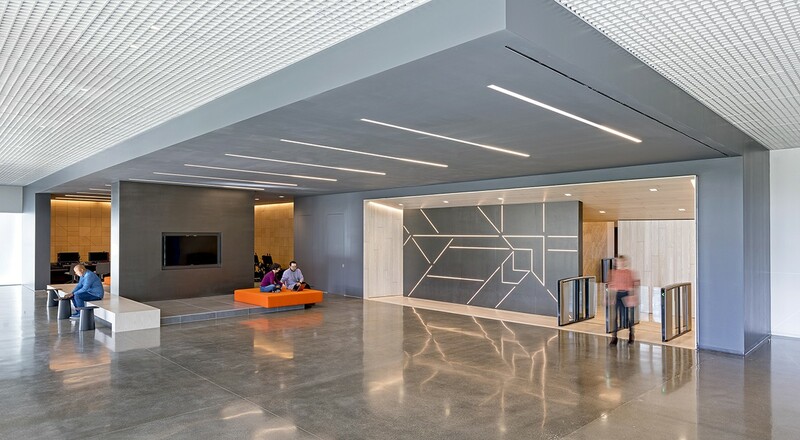 At a confidential tech client whose world revolves around virtual reality, computer processors, and semi-conductors, Gensler applied a concept of “inside out” with materials and forms inspired by the guts of what the company knows best—technology. Lisboa cork tiles seem hard-wired for this application with five different tile styles that feature a thin reveal. By combining and rotating three styles, this cork wall channels it’s inner circuit board in a one-of-a-kind pattern. 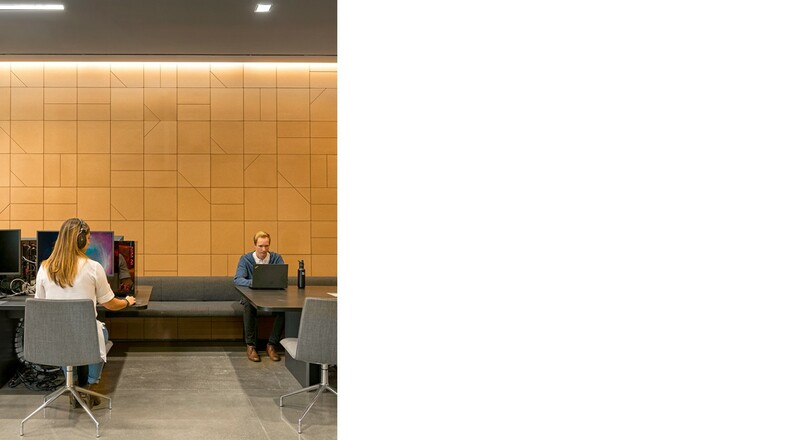 Plus, this natural cork wall provides sound softening where gaming and meetings co-mingle. For more information on the product featured, please visit Lisboa.